Perception is an absolute must-read novel! Lee Strauss introduces readers to a world so close to reality, but filled with far more advance technology, that it's slightly possible to forget that it's science-fiction. The story is split in two parts wherein the first, readers are inside the mind of main character Zoe Vanderveen. Zoe is a young genetically altered person, or GAP, with a serious prejudice and ignorance of all things 'outside'. Outside is where the 'naturals', the ones who are not GAP, reside. When her brother Liam goes missing, Zoe has to put aside her prejudice and ask a natural, Noah, for help. With this great risk, Zoe learns more about the true condition of the world outside and changes her perspective of GAPs versus naturals. Noah and Zoe's interactions are fun and enlightening. The change in their attitudes toward each other are easily seen and it adds a nice touch of romance to the suspenseful novel. Strauss has a talent of cocooning readers inside the story and keeping them on the edge of their seats. The world she's created is unique and full of surprises. 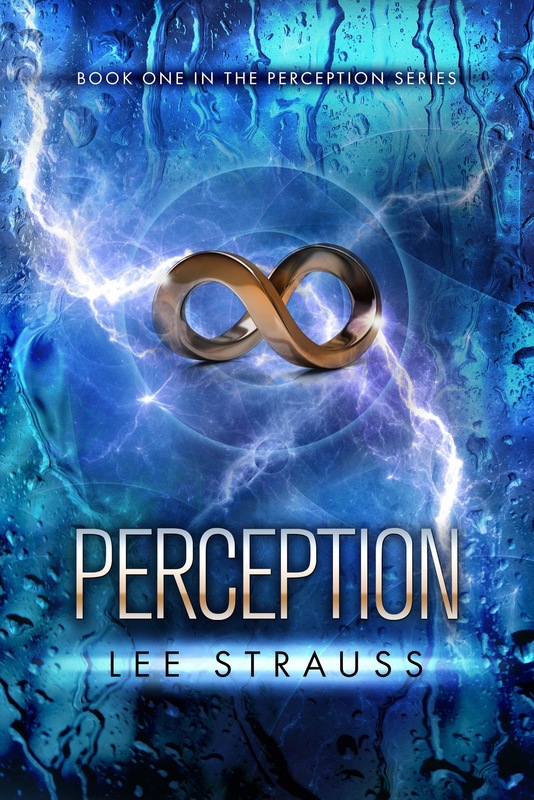 Perception is the beginning to a trilogy that will spark interest in readers of all ages. With the escalating plot of Perception, one can be quite sure that the next installment in the series, Volition, will definitely be a treat! Check out a chapter excerpt of Perception in my Novel Spotlight post!